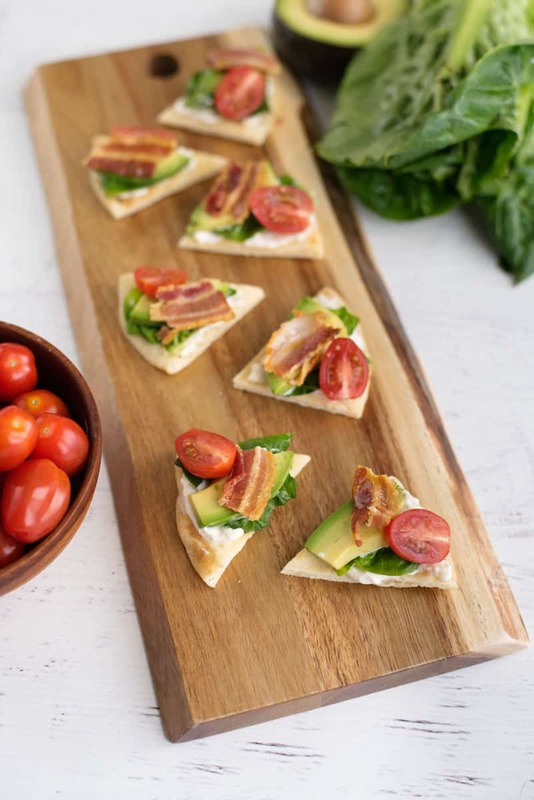 Naan BLT bites are a great game day appetizer recipe. They take just minutes to make and will be a hit for your Tailgating party. One of the biggest American sporting events of the year is almost here! What better to enjoy the big game with than another American classic – BLTs? 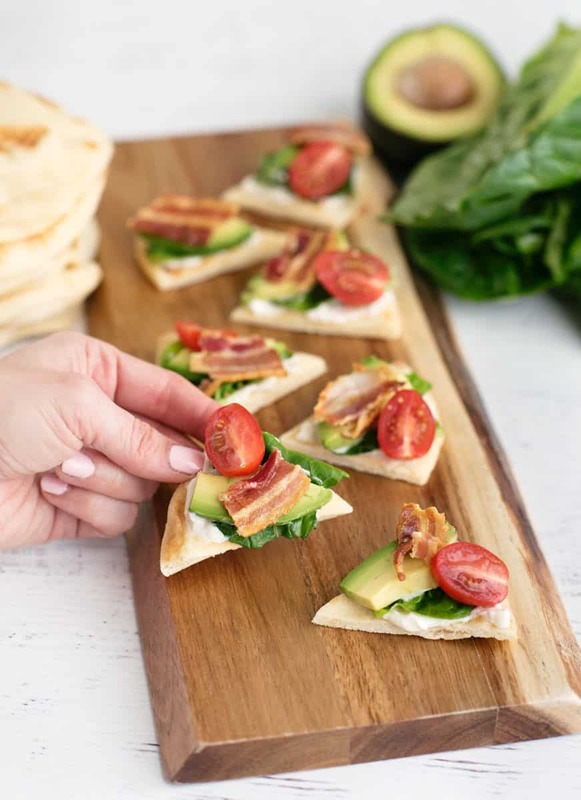 I’ve given the traditional BLT sandwich a great party upgrade with these easy-to-make naan BLT bites. 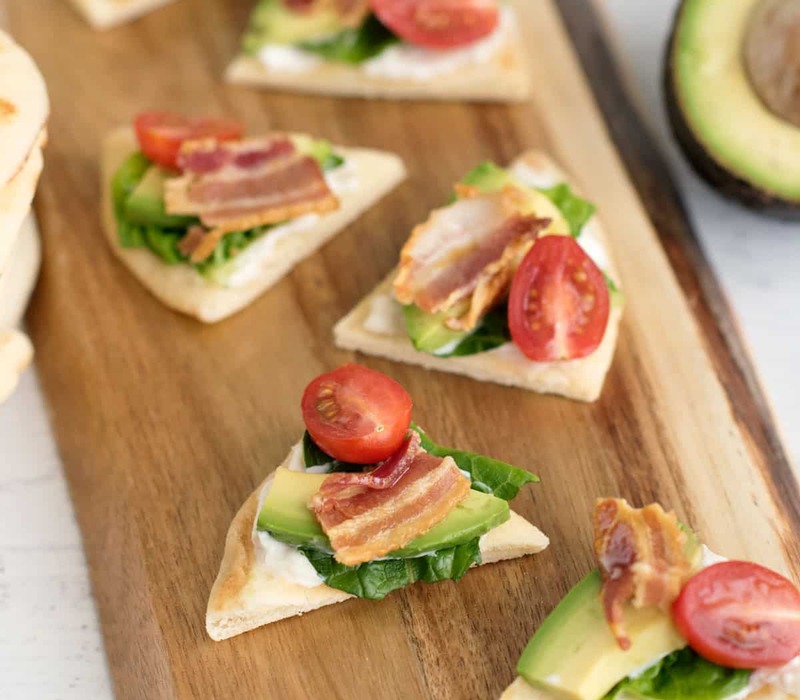 These BLT bites are served on Stonefire Naan, which is one of our supermarket staples.We use naan for everything, from dipping in humus to pizza crust for an easy dinner at home. For this recipe, I chose the mini size as they fit easily in the toaster and cut into perfect bite-sized pieces. Just add your bacon, lettuce, tomato and avocado and you’re ready to cheer on your team. 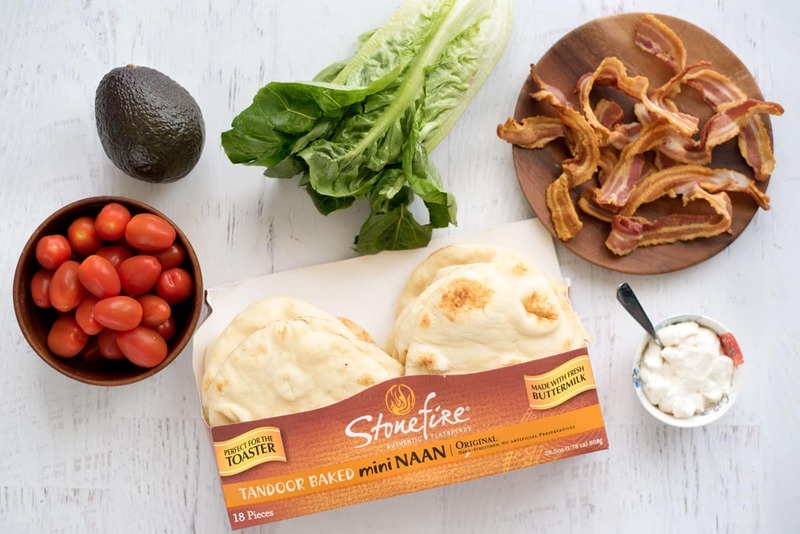 We buy our Stonefire Naan in bulk at Costco, but you can also find it at your local Publix, Ralphs, Ahold, Giant and more. For tailgating and game day, I love making bite-sized appetizers so we don’t have to remember utensils. The easier to eat, the better! It’s also great to pick something that doesn’t require a ton of work. Less time prepping food means you won’t miss the game changing play that everyone talks about for the next two months. With just 10 minutes of prep time, this recipe is perfect. 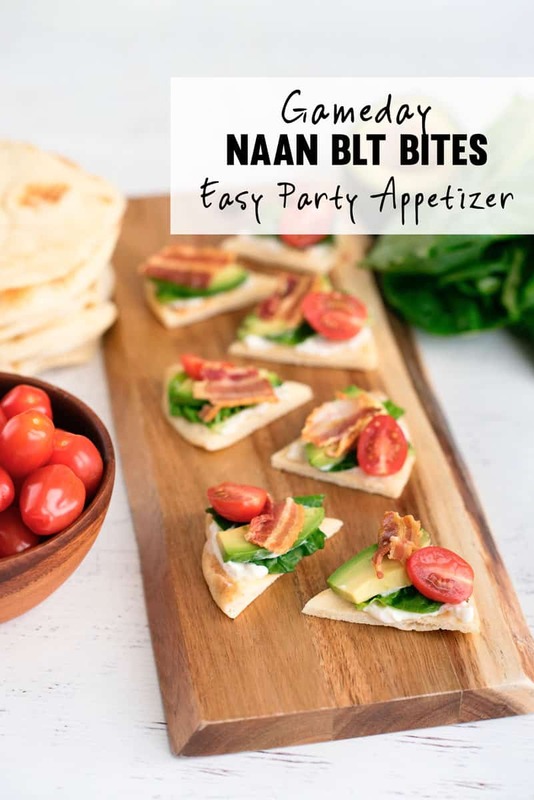 Naan BLT bites are a great game day appetizer recipe. They take just minutes to make and will be a hit for your Superbowl party. Instead of the mayonnaise you traditionally find on BLTs, try lightening things up with Greek yogurt instead. Slice each Stonefire Mini Naan into six triangles. Spread mayonnaise or yogurt onto each triangle. Tear or cut lettuce into bite-sized pieces and place on top of mayonnaise. Peel and slice avocado into bite-sized pieces and place on top of lettuce. Top each triangle with a piece of cherry tomato and a piece of bacon. This blog post was sponsored by Stonefire but the opinions are completely my own based on my experience. You can find more naan recipe ideas by checking out the hashtag #HelloNaan. Wondering why I do sponsored posts? Click here. These Naan Bites are just BRILLIANT! Seriously! 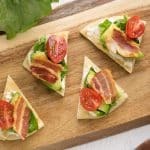 What a fun way to serve BLT goodness to the masses for game day. 🙂 We’re gonna have to try these soon! We’re huge fans of naan as well – I have no doubt these bites would disappear quickly at our house! Oh wow!! What an awesome idea!! These would make the perfect appetizer!! What a healthy and perfect looking Game Day app! These mini bites are so fun! Perfect for our next party!